➢ “At first glance, this appears to be a beautiful restoration (which was done in 4K, although no 4K version of the movie has been announced for home video) … The aspect ratio of this release’s presentation isn’t the theatrical 2.35:1 or even a slightly wider 2.39:1 or 2.40:1, but actually something closer to 2.50:1 … I find it hard to believe that [director James] Ivory and [cinematographer Tony] Pierce-Roberts approved the framing here, particularly since they reportedly approved the former Criterion version of the film, which shows much more on-screen information on all sides.” — High-Def Digest. ➢ “I’m sure there will be no dearth of opinions about which is ‘correct’, but when the director and cinematographer are involved in the transfer I tend to defer to their decision making process (though of course there have been odd decisions made by various directors and cinematographers for some Blu-ray releases). That said, I find this aspect ratio and the framing decisions to be at least a little unusual, though there was nothing that struck me as ‘missing’ from the bottom of the frame as I watched the film.” — Blu-ray.com. 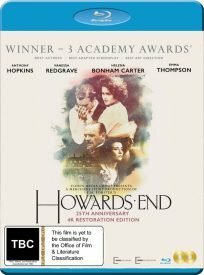 ➢ “In interviews director James Ivory speaks about the restoration and as this release is from a 4K restoration of the film that was supervised by Ivory and cinematographer Tony Pierce-Roberts one may accept that this is their preferred ratio for the film … This Cohen Film Collection restoration is superb. The detail of the interior sets is stunning; despite the general darkness of Edwardian rooms, the furniture, artefacts, paintings and bric-a-brac are clear to see, in many scenes the filtered light is used to wonderful effect.” — Michaeldvd. ➢ “Blu-ray presentation never excites nor disappoints … The film lacks vibrant colours, generally, favoring a more streamlined, dull, occasionally flat, and sometimes pasty palette that renders skin tones pale and ghastly, at times, though the image finds more colour balance, and increased detail, in certain scenes.” — Blu-ray.com. ➢ “The colour scheme is superbly realised, rendering an assortment of primaries with excellent pop, and delivering strong black levels that keep things intact, without too much in the way of digital anomalies. It’s hardly fancy, and it’s no real surprise that we don’t get a 4K release in the UK [or NZ] because the limitations of the animation style and presentation are such that it’s unlikely to ever be demo material. 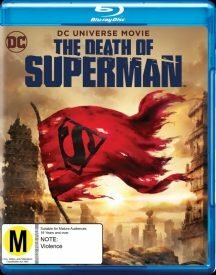 Nonetheless, the Blu-ray does a great job with what it has, leaving this as strong a video presentation as we’re likely to get.” — AVForums. Re: Howards Way. 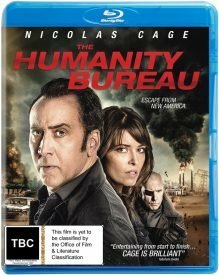 Why do companies keep mucking up releases with bodgy re-framing? The old Shock release was fine, albeit without the listed DTS-HD MA soundtrack, only Dolby Digital on NZ/Aus discs.